The goal of Berkshire Community Roots — the education, advocacy and philanthropic arm of Berkshire Roots — is to celebrate our iconic region and improve the health and well-being of the communities in which we live and work: Pittsfield, neighboring towns and greater Berkshire County. Our commitment is underscored through volunteering, donations to local nonprofits, applying professional skills to support community challenges and creating jobs. Additionally, we provide educational programs and events to disseminate cannabis information regarding medical research, plant science, the process of getting a medical marijuana card, the safe and responsible use of cannabis, and legislation. Our commitment is underscored through volunteering, donations to local nonprofits, applying professional skills to support community challenges and creating jobs. Our popular and customizable Marijuana As Medicine program for the general public, patients, caregivers and medical practitioners addresses the most pressing questions about cannabis. We’re just getting started in our support of the nonprofits that add to the vibrancy of the Berkshires by meeting real community needs and challenges. Stay tuned. As we grow, so will the list of organizations we support through volunteering and/or donations. The laws and regulations covering the medical and recreational use of cannabis in Massachusetts and elsewhere are evolving. Stay abreast of the latest developments here. Be sure to educate yourself and consume responsibly. Remember, do not operate machinery after consuming cannabis. It is also illegal to consume cannabis in public. This includes being in a vehicle, especially while driving. Additionally, it’s illegal to bring cannabis and cannabis products across state lines, even if both states allow medical marijuana. Also, important to note, cannabis is not recommended when pregnant or breastfeeding. Workers in Massachusetts no longer need to be afraid of being fired for cannabis. State law has ruled protecting employees for medical marijuana use after work hours. Timely article on what recreational use means for Massachusetts come July 2018. WADA, which governs drug testing in the Olympics, and sets the standard for antidoping guidelines in many sports leagues, is removing cannabidiol—the pain-relieving, non-psychoactive cannabis compound—from its list of banned substances in 2018. 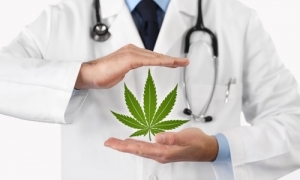 Insurance carriers don’t cover medical cannabis. Here’s one NJ guy who bucked the system and won! 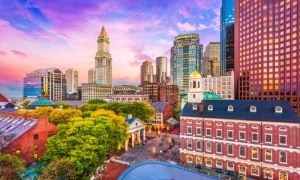 Cannabis can bring a lot of good to local economies and Massachusetts has taken notice! Towns have made movements to reject marijuana bans for a better society. Encouraging news: opioid-related deaths have decreased in Colorado since the legalization of marijuana! Studies show this connection has been linked to both medical and recreational use. 'Other ways to deal with pain': Is changing how we treat pain key to treating opioid crisis? 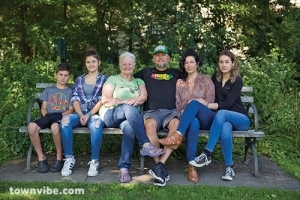 Great Berkshires story about a Stage 4 cancer survivor with Lyme disease who overcame chronic pain with cannabis. 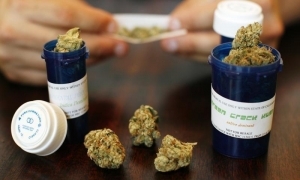 Patients enrolled in a medical marijuana program have been shown to reduce prescription drug use over time. 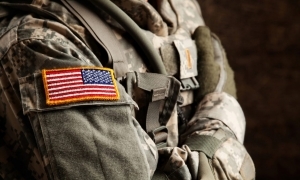 PTSD is a qualifying condition for securing a medical marijuana card in Massachusetts! A growing body of preclinical evidence suggests that cannabis has earned a place for a reason in the daily routine of cancer patients. Where few medications exist, cannabinoids could be the perfect medicine to mitigate the effects of a brain injury or stroke. How are Berkshire County locals using cannabis to treat a variety of conditions? Berkshire Magazine provides some interesting insights. Wondering about the safety record of cannabis? Here’s a roundup of research from Americans for Safe Access Now, an advocacy group. ALL INFORMATION DISPLAYED ON THIS WEBSITE IS FOR EDUCATIONAL PURPOSES ONLY, AND IS NOT TO BE CONSTRUED AS MEDICAL ADVICE OR TREATMENT FOR ANY SPECIFIC PERSON OR CONDITION. CANNABIS HAS NOT BEEN ANALYZED OR APPROVED BY THE FDA. INDIVIDUAL RESULTS MAY VARY.